Business organisations often enlist the help of IT services providers to cut costs, improve service efficiency and gain access to a range of technological expertise. The process generally entails the assessment of clients’ needs, followed by the implementation of a solution, and then providing support and after-sales services. Proactive and strategic advice during the implementation process that helps clients make better decisions to improve their existing IT infrastructure. Sharing knowledge and experiences to help clients benefit from the functions of their new technological upgrades. Able to translate technological value of IT additions into economic value, e.g. shareholder returns, revenue growth, etc. To take charge and be involved in the whole process of purchasing and installing solutions/upgrades, e.g. explaining the products to shareholders, the implementation, as well as post-installation support. The functions of IT services is likely to overlap with technology consulting to an extent as IT services providers need to match their services to client’s needs, rather than just selling them. 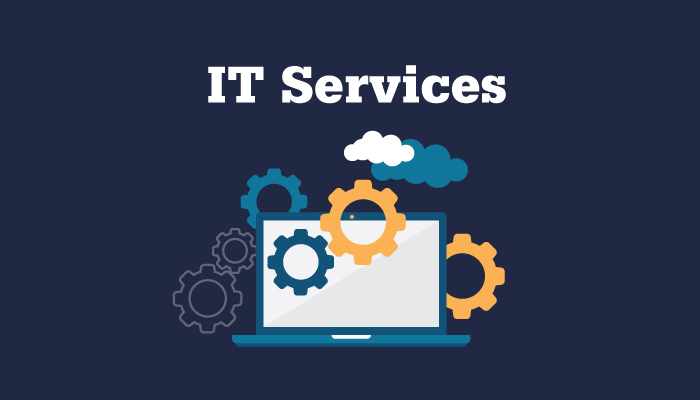 Depending on the size of the IT services provider and the depth of services provided, some may offer a broad range of services, while others prefer to specialise in only one or two. For instance, an established services provider such as HCL Technologies is able to cover multiple areas (e.g. infrastructure, applications, engineering, and even business services). On the other hand, a smaller technology partner might choose to concentrate only on infrastructure or applications. Graduates will likely start off as a junior member in a team, assisting senior colleagues in their work and picking up essential skills on the job in the first few months of employment. You may be asked to work on one small aspect of a big project, manage only one client account, or perform a specific function in one particular technical area. Gradually, your responsibilities will grow, and you can progress as a specialist in a specific function or a particular industry. The frequency of your travels, hours, and pace of work is very role-dependent. Those in consulting roles are often required to travel to meet clients on very short notice, on a very fast-paced schedule. The technical team, on the other hand, tends to have a more stable schedule and is less mobile, but when things go wrong, all-nighters are inevitable. The IT services industry welcomes nearly all degree disciplines as there is a variety of positions available, but technical roles will usually require a background in computing, science, engineering and math. Technical and academic knowledge should be complemented with commercial awareness, especially in a client-facing role. In order to convince clients, you need to understand and communicate the benefits that IT can bring to your client’s business, as well as a grasp of current market trends. For instance, the recent boom of cloud technologies, mobile applications and the concept of gamification are immensely influential, and might be advantageous to your client. Be sure to work on soft skills such as communication, teamwork, and the ability to prioritise as well. Different roles will emphasise the need for different soft skills. For instance, those of you working in consultancy may want to polish up on communication and interpersonal skills; while those working as programmers/technical officers should aim to cultivate patience and an eye for detail. Working in this industry promises diversity in terms of your job scope and the people you meet. As you get involved in different projects, and thus different clients, you’ll also get plenty of networking and learning opportunities. However, the speed at which technology evolves is extremely fast, and while some may see this as a positive life-long learning opportunity, others may get weary of the rapid changes. Some roles may have lifestyles that can wear some of you down too (e.g. consultancy is fast-paced will require plenty of travelling), so make sure to consider thoroughly before applying. What If My Parents Want to Get Involved? Can you really get parents involved in your search for your first job without letting them dictate your career choices? Here are some ideas you can try.